Minnesota lawmakers say they will introduce bipartisan legislation that would dedicate $20 million a year to address the opioid overdose epidemic in the state. At least part of the money would be raised by increasing licensing fees on drug companies that manufacture or sell prescription opioid painkillers. Sen. Julie Rosen, R-Vernon Center, will carry the legislation in the state Senate and Rep. Liz Olson, DFL-Duluth, will sponsor it in the Minnesota House. Rosen was the author of a similar proposal last year that passed the Senate by a vote of 60-6. Its counterpart last session in the House didn't get a vote after strong opposition from drug companies and some business groups. • In 2018: In addressing opioid epidemic, who pays? Rosen said during a press conference on Thursday that opioids have become a "public health emergency" in the state. More than 400 people died statewide of opioid overdoses in 2017, including a big increase in the number of people dying of overdoses caused by synthetic opioids like fentanyl, according to the state Department of Health. The number of people dying in Minnesota and nationwide has been steadily rising for 15 years. "Opioid addiction is tearing Minnesota families apart, and threatening to completely overwhelm not only our public health system, law enforcement and public safety budgets, our judicial court system and, of course, it's affecting our workplaces," Rosen said. "Budgets across the state are strained." There were more than 3 million opioid painkiller prescriptions issued in the state in 2017. The so-called "penny-a-pill" legislation introduced last year would have charged a fee on pharmaceutical companies for each prescription. This session's bill would not include the "penny-a-pill" provision, Rosen said. Instead, it would raise licensing fees on pharmaceutical companies that make or distribute opioids. Rosen said the licenses cost just $235 annually for each pharmaceutical company selling products in Minnesota. She doesn't know yet exactly how much she'll propose to increase the fees. "We're asking the pharmaceutical manufacturers and distributors to be part of the solution because they were frankly major players in this crisis they helped create," Rosen said. In a statement, Rep. Olson blamed pharmaceutical industry lobbyists for killing legislation to address the opioid epidemic last year. She said the state needs immediate and comprehensive action. "While families, communities and the state as a whole have paid significant prices during the opioid crisis — both in dollars and in the tragic loss of life — one group has yet to pay any price: big pharma," Olson said. "While they continue to profit, we continue to remain behind the curve in addressing the problem." A spokesperson for the industry group, Pharmaceutical Research and Manufacturers of America, declined to comment until the text of the legislation is released. Representatives of pharmaceutical companies last year argued that it wasn't appropriate to tax medicines that people need for legitimate medical issues. Rosen said her proposal would dedicate half the annual funding to help counties pay for costs associated with the opioid epidemic, including child protection services. 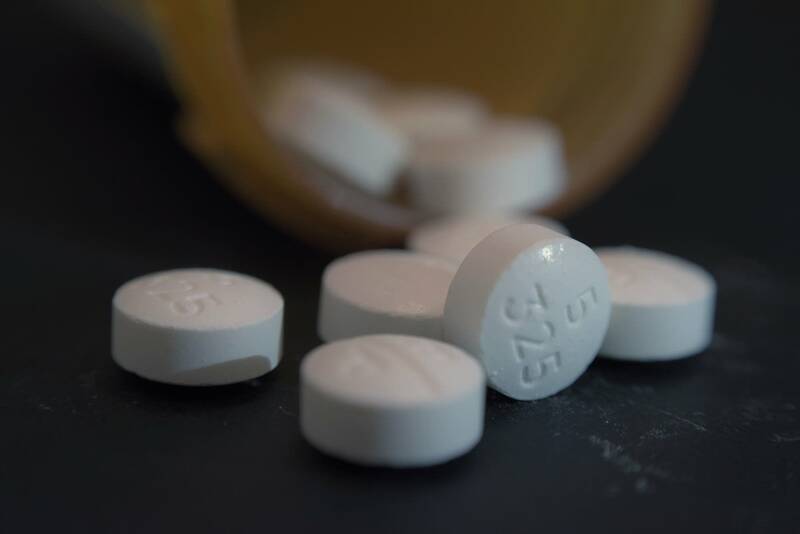 Hennepin County Deputy Administrator Jennifer DeCubellis said there's been a dramatic increase in the number child abuse and neglect cases involving opioids, which has resulted in more children being removed from homes. Increased costs include medical treatment for infants born dependent on opioids, treatment programs for inmates and additional staff to handle the number of overdose deaths at the medical examiner's office, she said. "The crisis is here and the time for action is now," DeCubellis said. "We need to invest in real solutions and we believe that supporting this bill does just that." Supporters say the bills would also create a new statewide Opiate Stewardship Advisory Council made up of legislators and health experts tasked with developing a statewide approach on opioids. Other parts of the legislation would strengthen the state's Prescription Monitoring Program, expand access to treatment programs and require stronger reporting from pharmaceutical companies. The bills are expected to be introduced next week in both houses of the state Legislature. Olson said her bill's first hearing is scheduled for Wednesday in the Health and Human Services Policy Committee.